In his role, Mohamad will lead the acceleration of our digital capabilities to and drive us forward as thought-leaders. As part of this plan, Mohamad will work closely with the agency leads to champion the integration of the Programmatic and Performance practice into the core of the agency operating model. He will also collaborate with the agency digital leads to craft a cutting-edge digital product that complements each agency’s DNA and strategic objectives, while providing guidance on the agency’s commercial strategy. In parallel, Mohamad will be setting-up Reprise as a full-service digital agency in line with its global mission and lead its efforts to acquire performance driven clients. Mohamad joined MCN in 2009 as Regional Digital Director of Initiative MENA, establishing the agency’s digital practice across the region. 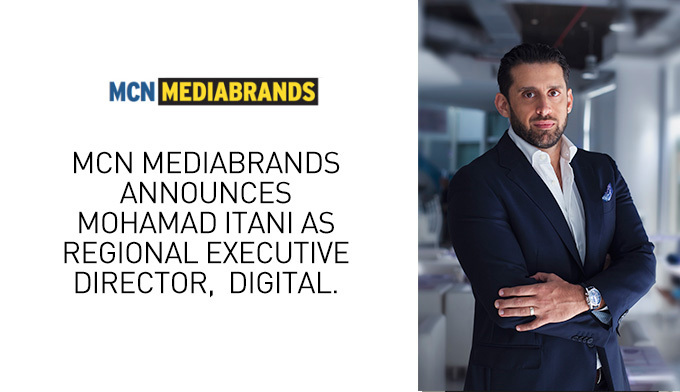 He was later tasked with setting-up Platform5 as MCN’s performance-driven, integrated services and technology agency supporting MCN Mediabrands, UM, Initiative and Magna. As the Managing Director of Platform5, he successfully built performance, data products and launched Cadreon as a specialized Ad Tech unit. Under his remit Platform5 grew its revenues two fold and offered leading edge solutions across multiple markets with presence in UAE, KSA, Egypt and Lebanon.